The DxO OpticsPro 10 interface is highly configurable. You have already been made aware of this in the first part of this tutorial, which was dedicated to managing the application’s palettes and sub-palettes. In this second part, we are going to show you how you can create a custom workspace; how you can best use a second screen by moving the Image Browser to it; and finally, we will explain the various display options, such as choosing a different background color and managing the thumbnails. In the last part of this second tutorial, we will show you an example of a custom interface that uses two displays, based on how the author actually uses DxO OpticsPro. 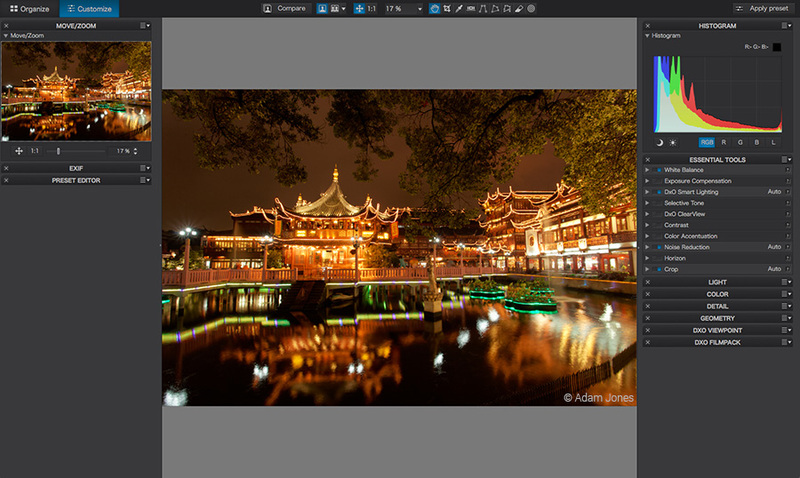 DxO Optics Pro is an application that is particularly rich both in tools and in options that will allow you to adapt it to your own needs and to optimize your workflow for even greater productivity. 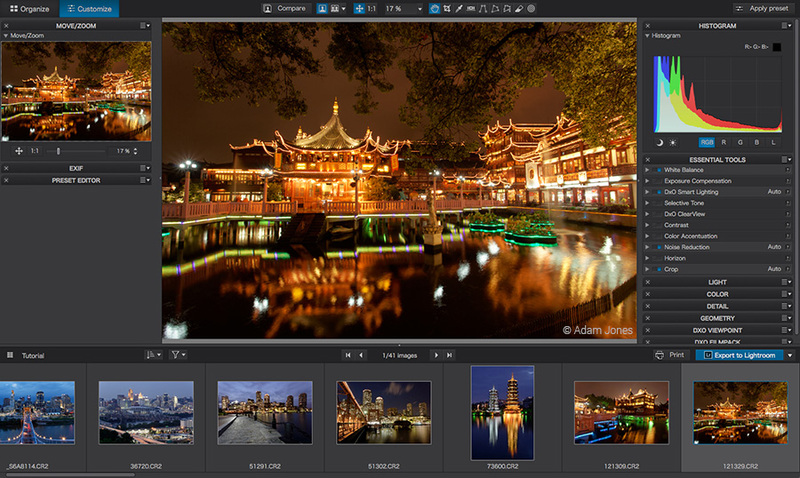 DxO OpticsPro’s richness extends also to its interface, since it is entirely possible to create and manage the tool palettes, as you saw in the first part of this tutorial. You can also create your own workspace by reorganizing the palettes as you wish, by placing them where you want, or by displaying only the ones you need. You can create custom workspaces only with the Elite edition. Deactivate the display or the sub-palettes or palettes that you do not want to use by following the instructions in the first section of the first part of this tutorial. Reorder the palettes as you wish. Go into the Workspaces menu and select Save workspace. In the dialog box that appears, enter a name for your workspace, and then click on Save. Your new workspace is immediately activated. You can create as many workspaces as you want. Go into the Workspaces menu, then select DxO Standard. You will end up leaving your custom workspace. Of course, your custom workspace will remain saved even if you return to the standard workspace. Go into the Workspaces menu, then select the workspace you want to delete. Still in the same menu, select Delete workspace. Return to the Workspaces menu to select the DxO Standard workspace or another custom workspace. Did you know that you can undock the Image Browser from the default display and put it somewhere else on your screen, or even on a different screen? The Image Browser is the thumbnail image panel on the bottom of the DxO OpticsPro window. It displays the contents of the selected source, such as a folder or project. 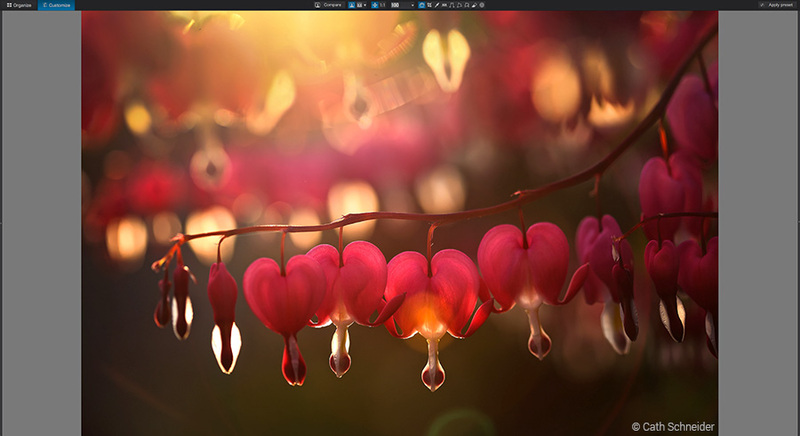 Go into the View menu and select Dock Image Browser. You can also use the keyboard shortcut Ctrl+U (PC) or Cmd+U (Mac). The Image Browser becomes an independent floating window that you can place wherever your want. 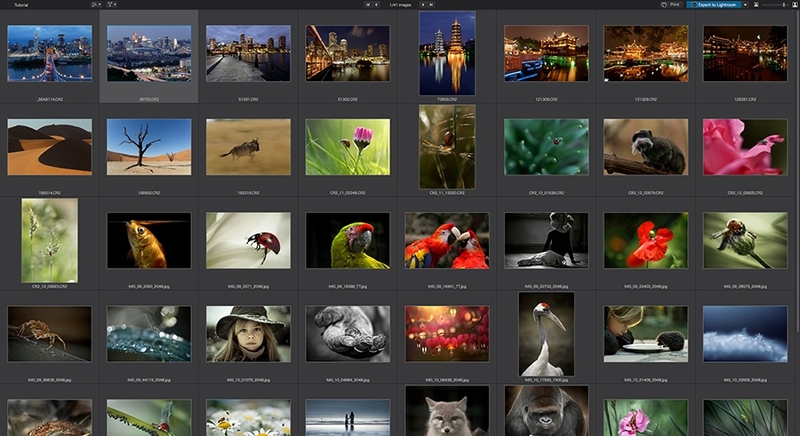 Place the Image Browser wherever you wish — for example, on the second screen, thus freeing up all of the available space on the principal screen for the display of your image. 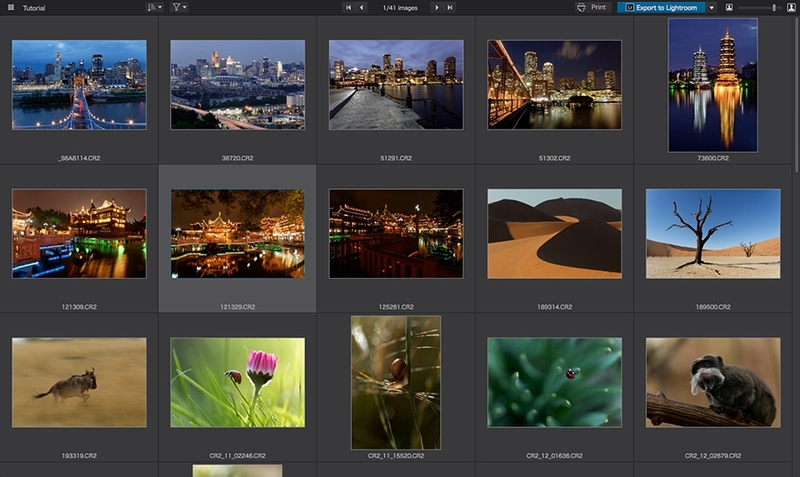 You can select your images, create virtual copies, and access all of the usual features by right-clicking on the thumbnails. You can resize the window as you wish by grabbing any corner. Lorsque l’explorateur est amarré, les images ne peuvent défiler que dans le sens horizontal. While it is detached, you will have use of a vertical scrollbar, as well as all of the tools in the command bar, including the Print and Export buttons. DxO OpticsPro allows you to change the background color in the image Viewer, and to choose what information is displayed in the thumbnails. These operations differ somewhat between the PC rent version and the Mac version. Starting with version 10 of DxO OpticsPro, by default the thumbnails will display only the names of the image files and the number of virtual copies. Go to the Edit window and then select Preferences. In the window that appears, select the Display tab. In the General section, move the Background color slider as desired (gray is displayed in the tile to the right of the slider). Click on OK: The chosen background color is applied, and the dialog box will close. To return to the default background color, go back into the Preferences and double-click on the slider. 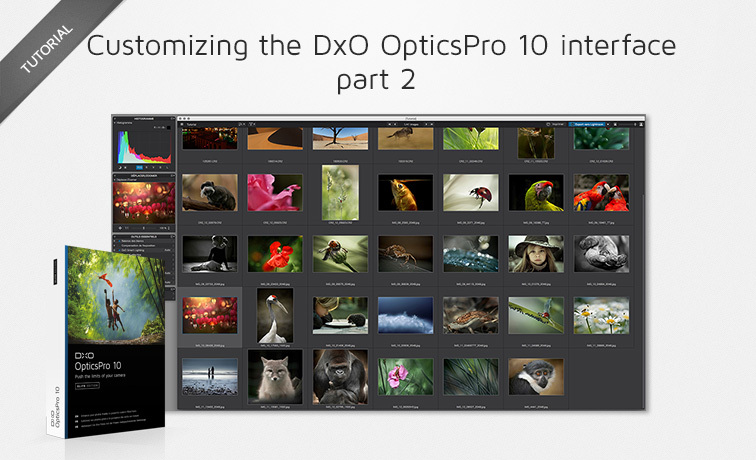 Go to the DxO OpticsPro 10 menu, then select Preferences. Click on the Image background color tile. Select the color you want in the system dialog box. The color is applied immediately and does not require you to start the application. For the background color, we recommend that you stay with a medium or dark gray. You should avoid colors (especially on a Mac), and white and black, any of which can distort your perception of the color and contrast in your image. Starting with version 10 of DxO OpticsPro, by default the thumbnails will display only the names of the image files and the number of virtual copies, so as to be less distracting, particularly if everything is working correctly. You can choose to have the thumbnails display (or not display) whatever icons you wish related to image processing or DxO Optics Modules. PC: Edit > Preferences menu, then Display > Image Browser section, then check the desired buttons. Mac: DxO Optics Pro > Preferences menu, Thumbnails tab, then selecting the desired setting for each icon from the drop-down menu on the far right. The left and right panes are closed. 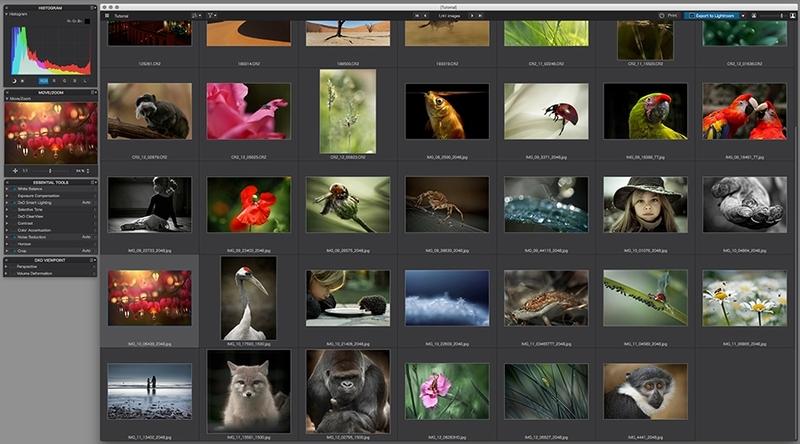 The main window of the Customize tab is in full screen mode to give the maximum amount of available space to the image. 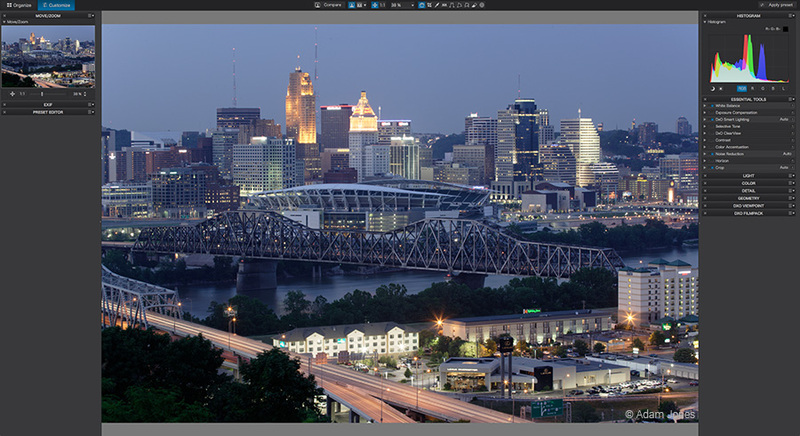 The Move/Zoom, Histogram, Essential Tools, and DxO ViewPoint palettes are moved to the second screen. 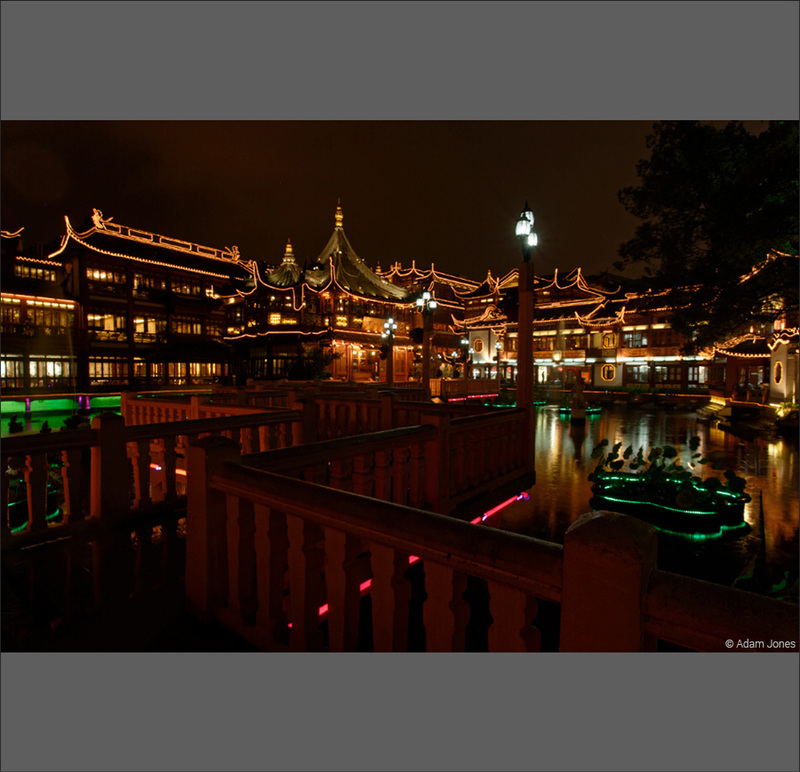 Image Browser has been detached and moved to the right of the palettes on the second screen. The background color is dark gray.